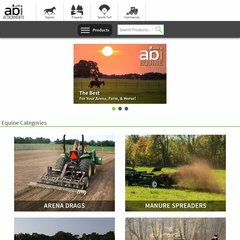 Topics: Arena Drags, Manure Spreaders, Water Wagons, and Pricing. abiequine.com Kiser Edge® by ABI Equine® - Revolutionary arena drag by Bob Kiser. 35 users visit the site each day, each viewing 2.20 pages. Its 2 nameservers are ns1.mediatemple.net, and ns2.mediatemple.net. It is hosted by Media Temple Inc. California, using Apache/2 web server. The programming language environment is PHP/4.4.9. PING www. (64.13.232.170) 56(84) bytes of data.